This entry was posted on May 17, 2017 by Nick. 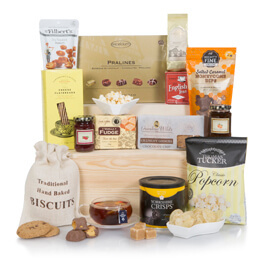 Hampers have evolved over time to match the ever-changing trends of the period. 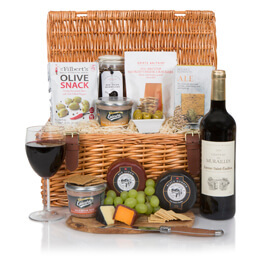 Over the centuries, traditional hampers have comprised of food and drink items carried in a wicker basket to take on a day out, to a show or to enjoy tucking into on a warm summer's day as a picnic. In more recent times hampers have evolved into a complete gift and given as a present to thank you, happy birthday, Merry Christmas and for other special occasions. These food gifts are often referred to as gift hampers for this reason and may or may not include the traditional wicker basket. 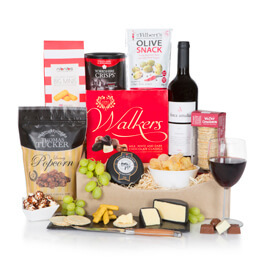 Instead, more commonly this food hamper includes a gift box, a gift bag, an open basket or is presented on a gift tray. One of the earliest recorded uses of hampers dates to the 11th century and William the Conqueror who is credited with bringing them to England. The word ‘hamper’ comes from the French ‘hanapier’ meaning ‘a case for goblets’. The tradition of giving hampers as gifts began much later, in the Victorian period. Wealthy families would put together a basket of food and drink and present it to their staff at Christmas. The enhancement of the railway system allowed for gifts to be sent over much longer distances, increasing the popularity of Christmas gift hampers. As it became easier to import goods from countries all over the world, the contents of gift hampers improved and diversified. Although they were traditionally just for Christmas, their popularity meant they were used for other events, including as gifts for birthdays. During World War One, gift hampers were donated to the Red Cross to be sent to soldiers and prisoners of war overseas. Giving them a welcome care package and a taste of home on the front lines. What we would call a gift hamper in the UK is often referred to as a gift basket, rather than a hamper, in other countries. A hamper in the US is actually a clothes or laundry basket. The history of this was based around a gift in a basket which is given as a present to someone else, rather than for personal use that a traditional hamper would have been intended for. Today, the word ‘hamper’ encapsulates these terms, so in the UK, ‘gift basket’, ‘gift hamper’, and ‘hamper’ all mean the same thing. Modern gift hampers are given for a wide range of occasions and are delivered to destinations all over the world. 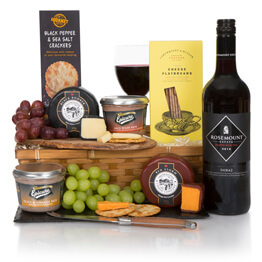 You can send modern day hampers to Australia, Canada, the USA and New Zealand and many more international destinations. Ten years ago, Hamper.com created a service that gave customers the opportunity to build a personalised hamper that they knew the recipient would love. The Create Your Own Hamper tool gives users the ability to choose from over 150 food and drink items. 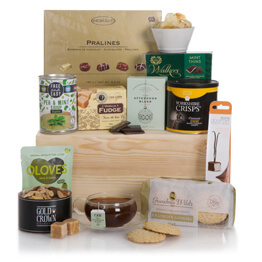 As tastes continue to develop and evolve, so will our extensive range of gift hampers. 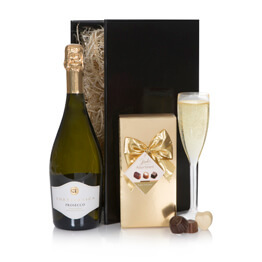 From the smallest gift basket to the biggest hamper, celebrate your next special occasion with Hamper.com. 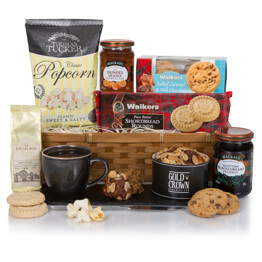 For over 40 years Hamper.com, the online home Clearwater Hampers, have been selling hampers to send as gifts to family, friends and business colleagues. Hamper.com sends gifts to countries all over the world, with free delivery available on many hampers delivered worldwide. 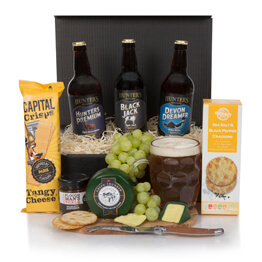 For UK delivered hampers we offer free delivery and if you order before 2pm you can take advantage of free next day UK delivery. 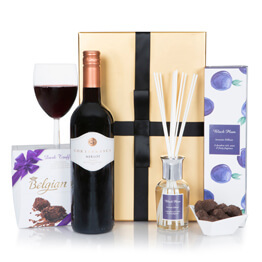 Browse our range of luxury hampers and send a hamper full of history, love and amazing products!